Update Apr 2: ATC operations have returned to normal across Fiji, following last week’s strike by air traffic controllers. On Fri Mar 29, an Arbitration Court ordered they return to work, although some workers remain suspended. Over the weekend, there were Notams in place for NFFN/Nadi and NFNA/Nausori which warned of no ATC services overnight, but these have since been cancelled. 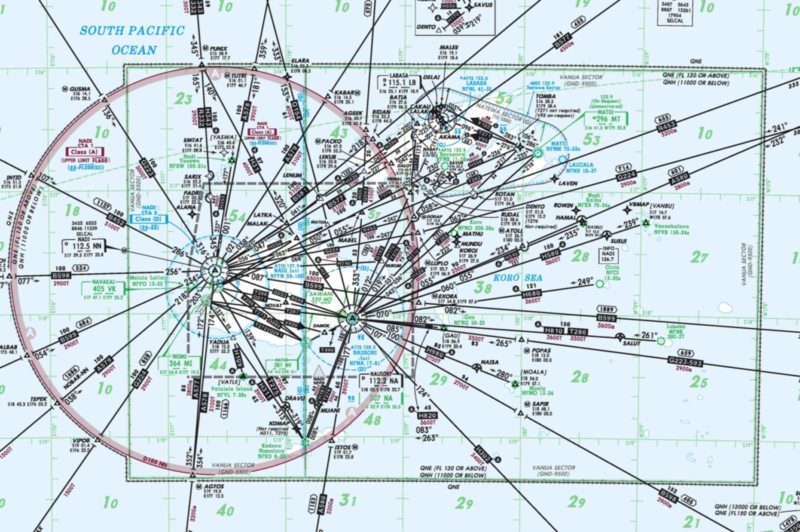 During the ATC workers strike, the response by the authorities was to publish Notams advising that the airspace around the country’s two main airports, NFFN/Nadi and NFNA/Nausori, was “Class G” airspace, with “TIBA” procedures in effect. Both of these are bad news – they basically mean that the airspace is uncontrolled, and pilots have to separate themselves from each other during arrival and departure phases. TIBA stands for ‘Traffic Information Broadcasts by Aircraft’. ICAO Annex 11 states that TIBAs “should be made only when necessary and only as a temporary measure”. TIBA procedures are normally only ever implemented in areas where there are light general aviation movements, in uncontrolled airspace, or during large scale emergencies or natural disasters; it’s very unusual to see them being implemented around big international airports such as Nadi and Nausori. With less ATC staff available to work due to the strike, it seems the authorities implemented these measures as a way of reducing normal workloads for the controllers who were not on strike and remained on shift. Monitor #ops-alerts in your member Dashboard, and Slack.